We believe that being Mercury Safe should be the cornerstone of the modern dental practice. In order to ensure that your practice is Mercury Safe you'll need to know why and how to minimize occupational exposure to mercury at the dental office. The DVD contains the entire seminar presented in Portland, OR and includes all the information that you'll need to become a fully compliant Mercury Safe Practice. The information on the DVD is not available anywhere else and accessing what you need from a single source will save you countless hours of research. 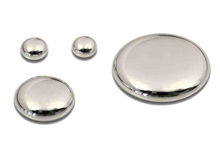 We encourage you to review the website to learn why you should become Mercury Safe and then use the DVD as your guide to introducing the products and protocols into your practice. The DVD also offers many advantages and benefits over a live seminar. Click Here for more information. How to educate your patients about the value and importance of Mercury Safe Dentistry. The DVD is the video version of a live seminar presented by Dr. Paul Rubin and Dr. Tom McGuire, two of the leading authorities on minimizing occupational exposure to mercury at the dental office and making the office Mercury Safe. Dr. Rubin has practiced Mercury Safe and Mercury Free Dentistry for over 30 years. He presents and discusses the best products available, all tested in his clinical practice. The advantage to you is that Dr. Paul has done the work for you, virtually eliminating the time needed to find, research and evaluate the products and equipment necessary to make your office Mercury Safe. Dr. McGuire is one of the pioneers in developing the concept of Mercury Safe Dentistry. He is also a leading authority on increasing your Internet exposure and how to successfully and cost-effectively promote and market a Mercury Safe practice to the public and to health practitioners. The health practitioner is a gold mine of patients and the DVD will teach you how to access this market and generate a steady flow of new patients. With the information we provide on the DVD, coupled with our unique, interactive approach to presenting the necessary products, equipment and safe removal protocols, the work will have been done for you. With the DVD to guide you, you can easily, and quickly, make your practice as Mercury Safe as possible. Can You Really Afford NOT to be Mercury Safe?